Italian Melencolia Estatica is a black metal vehicle used by a certain lady inconspicuously named Climaxia/Melencolia, which does not reveal much about the identity of this person, but does hint at the style of extreme music we are about to hear. Hel is the third installment by the band, in which Melencolia handles music writing, as well as all guitars and bass, and I have not heard a note by the band before now. Temple of Torturous is a very appropriate place for Melencolia Estatica to call home, as the band does not settle for a standard black metal angle, but instead pushes a catacombous, avant-garde version of the genre. Tracks numbered with Roman numerals (as it seems to be a tradition for Melencolia Estatica releases), I admit I needed a sheet giving an explanation for the modern technocratical collapse concept behind the album, since the music leaves it wide open for interpretation. There are some more out-in-the-open fast melancholic tremolos (I and V), but the psychedelic detunage along the lines of Blut Aus Nord or something from the ATMF roster rules the roost most of the time. II has weird anti-Alcest euphoria setting in, as this music is anti-happiness, urban, machine-like with a violent streak. Melencolia Estatica immerses deep into depression soon after that, creating the feeling of pain or madness when proper medicine runs out. Funeral beginning, almost a soundtrack with a medieval knight bringing the bad news in III, depression after the intro is inescapable, sets deep until dementia sweeps you under. In other words, Hel is a D-to-D album, no matter the original direction, it is always from depression to dementia, or the other way around, the hollow aimless hopelessness wafting over most of the time. VI finishes the torture off, twisted, drumless, drawn out into the nothingness. Vocally, Hel matches what they are exposing musically. The vocal multilayered vocals are almost a backdrop for the music, not the front and center. Male vocals are howling screeches, and female touches are heard from time to time, creating the feeling of a cathartic cathedral service at the end of I. What Hel lacked for me is completeness in its presentation and transitions. The parts and ideas here are moving vehicle, all of them thrown together somewhat haphazardly, without a clear sense of purpose or direction. Then, of course, the album is almost bent on disorienting you in the first place, so more adventurous souls may decipher a way through this labyrinth. 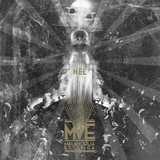 If you count yourself a fan of Blut Aus Nord, Deathspell Omega and Lifelover, Hel is right up your alley.